Visionary Donor $7,500 Jack meets you at a tree(s) anywhere in the world to make a custom TreeSpirit photo with you or your beloved. Includes 50" exhibition print, 2 signed books. 40" TSP Print $2,500 Special Edition 40" ALUMINUM print of any TreeSpirit photo. High-resolution. Contemporary look. No framing required. Signed book. Free world shipping. 20" TSP Print $950 Special Edition 20" ALUMINUM print of any TreeSpirit photo. High-resolution. Contemporary look. No framing required. Signed book. Free world shipping. 2 SIGNED books $175 Two (2) TreeSpirit books SIGNED by Jack Gescheidt. One for you, one for a great gift for a tree or nature or art loving friend. Free U.S. shipping to you. 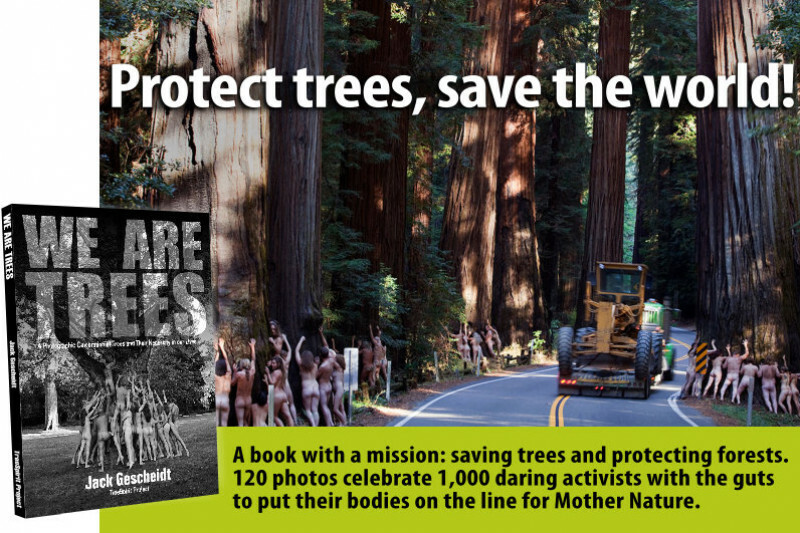 SIGNED book $95 Signed Limited Edition TreeSpirit book, "We Are Trees," for supporters of this crowdfunding campaign. ($125 retail after publication.) TreeSpirit book $75 Special Limited Edition copy of the TreeSpirit book, "We Are Trees," from this 1st printing. Discount off $95 cover price. Thank you for your support! Contributor $20 Thank you for supporting the TreeSpirit book! Your name is printed in the book (if you'd like). You'll get the 1st TreeSpirit screensaver for PC or Mac. On your statement, this donation will appear as "WPY*Daring tree activists"